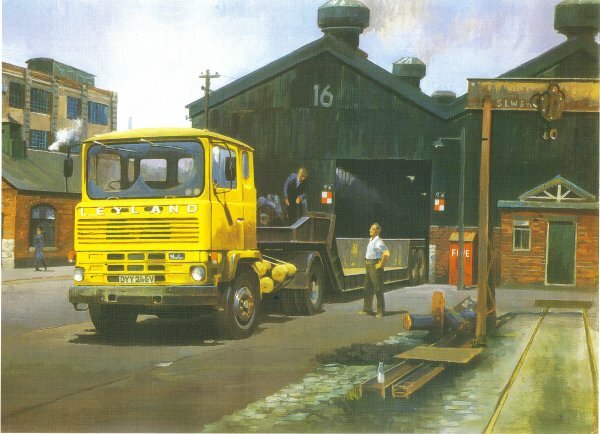 Aviation and Transport Art "Leyland Marathon Lowloader"
It was in 1973 that Leyland introduced their answer to the might of Scandinavia with the powerful Marathon. But it was under- developed in the engine department and gained a poor reputation. The mark II pictured here was fitted with alternative engines of Rolls-Royce or Cummings manufacture and despite other problems are remembered with great affection.